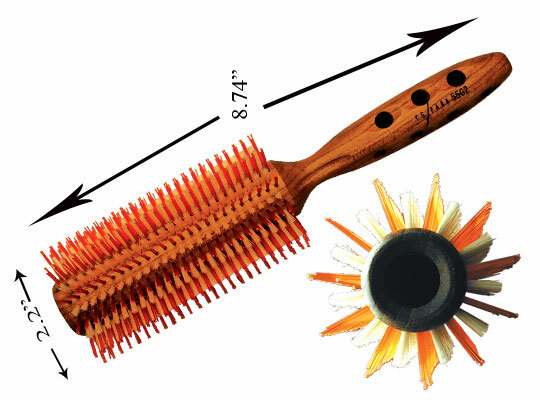 W 2.2" x L 8.74"
A strikingly powerful brush, the YS Park 55G2 Curl Shine Brush is made with natural boar bristles and heat resistant polyamide pins. Specially sized to suit all blow drying needs; faster drying always means less heat damage. The long heat resistant polyamide pins (orange) smoothly grab and lustrously straighten the hair while the short boar bristles (white) create gleaming curls resulting in a finish incomparable to any other. With a super light hollowed wood body for a better airflow, the handle's comfort grip is engineered with air holes built-in to prevent clammy hands, providing the stylist incredible control over each stroke. 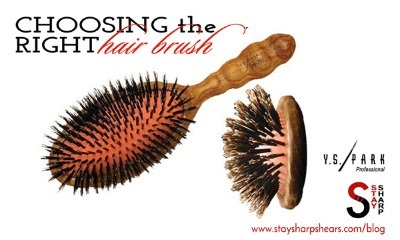 Comfort tactile grip, dimpled for an organic feel, the YS Park 55G2 Curl Shine Brush is undeniably top of the line.